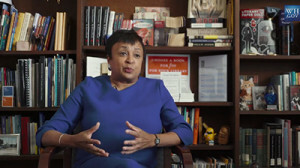 President Barack Obama announced today that he intends to nominate Dr. Carla Hayden to be the next Librarian of Congress. Hayden has served as CEO of Enoch Pratt Free Library in Baltimore since 1993 and is a former president (2003–2004) of the American Library Association (ALA). Read our 2015 interview with Hayden on her decision to keep Baltimore’s libraries open during the unrest that followed the death of Freddie Gray.